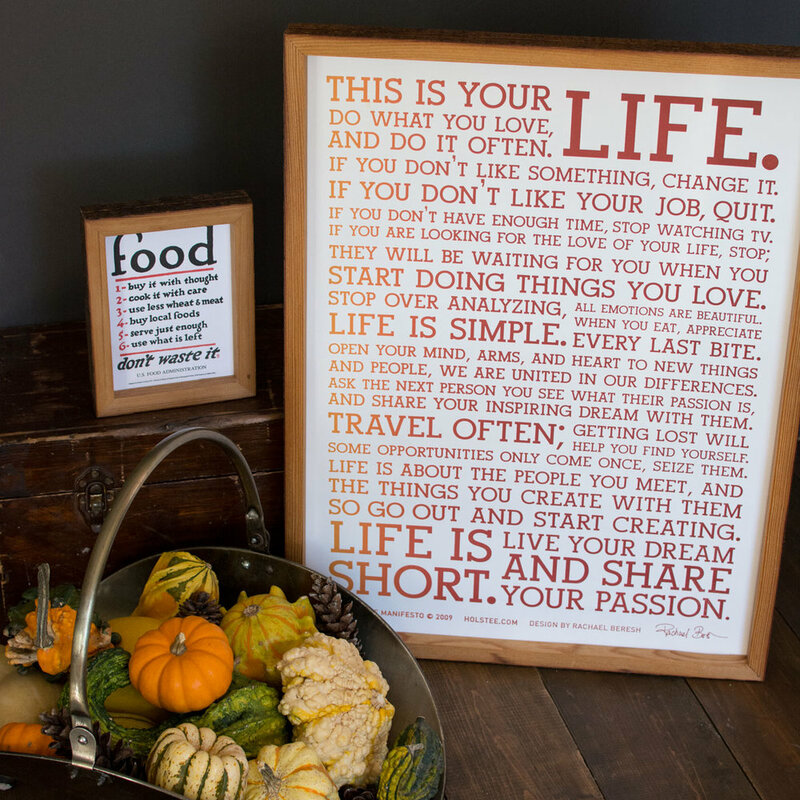 Today I'd like to share a gallery of some photography I did for Holstee back in November themed around Thanksgiving. 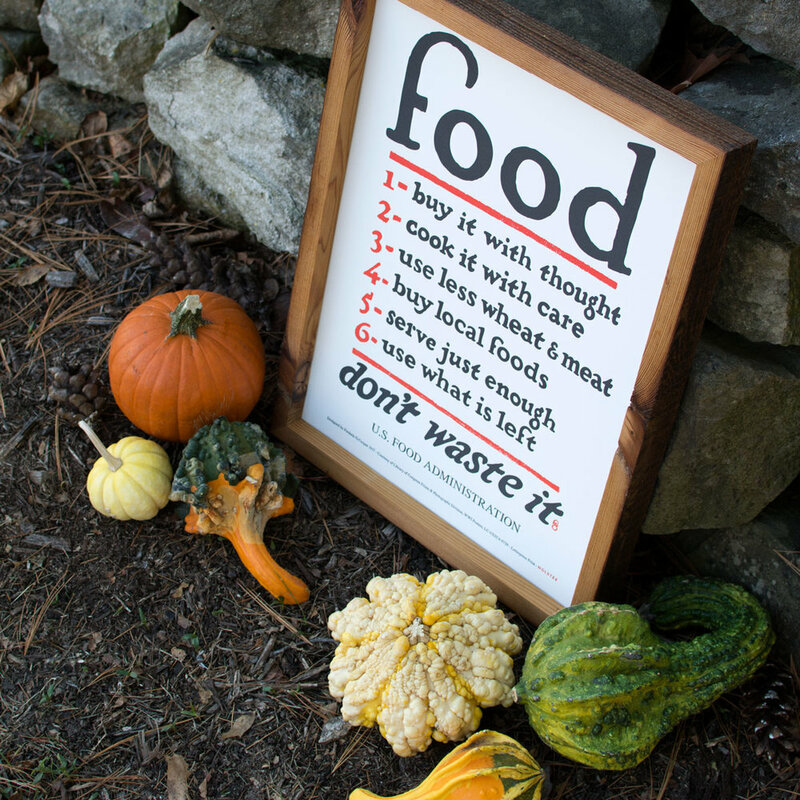 I had way too much fun picking out gourds and pumpkins for this shoot! I'm a sucker for texture. "Here at Holstee we collaborate with our favorite artists and designers around the world to create art that encourages mindful living. We created the Reclaim Frame, a slide-in frame without glass, to make decorating your favorite wall easy and appealing. Each frame is handcrafted in Ann Arbor, Michigan by our friends at Urban Ashes. The wood is salvaged from abandoned homes and buildings in the Detroit Metro Area. Instead of ending up in a landfill, these otherwise scrap pieces are then transformed into beautiful frames by the Urban Ashes team, craftsmen and women who are transitioning out of the criminal justice system or have disabilities. They learn valuable job skills and gain work experience while reshaping the economy and keeping trash out of the waste stream. Each frame has rough-sawn edges and unique character that serve as reminders of the wood's rich hundred-year history and the people who've helped transform it along the way. 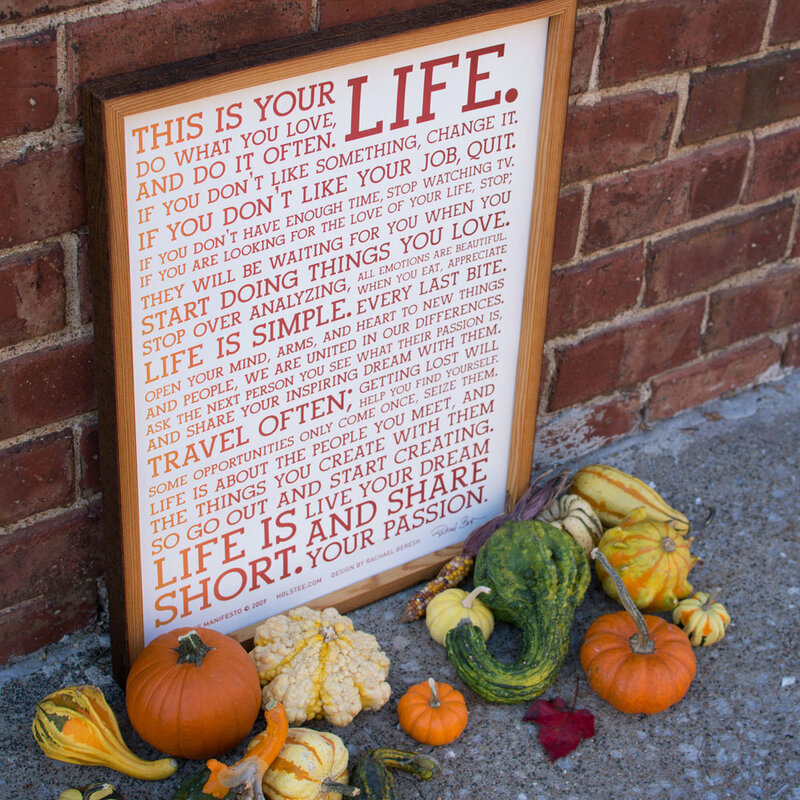 We hope it brings warmth and inspiration to your home for years to come. " So basically they're officially the coolest company ever. *Insert praise hands emoji here* You can find more information on their website here.